Prometheus (/prəˈmiːθiːəs/ prə-mee-thee-əs; Greek: Προμηθεύς [promɛːtʰeús], meaning "forethought") is a Titan in Greek mythology, best known as the deity in Greek mythology who was the creator of mankind and its greatest benefactor, who gifted mankind with fire stolen from Mount Olympus. Prometheus sided with Zeus and the ascending Olympian gods in the vast cosmological struggle against Cronus (Kronos) and the other Titans. Prometheus was therefore on the conquering side of the cataclysmic war of the Greek gods, the Titanomachy, where Zeus and the Olympian gods ultimately defeated Cronus and the other Titans. 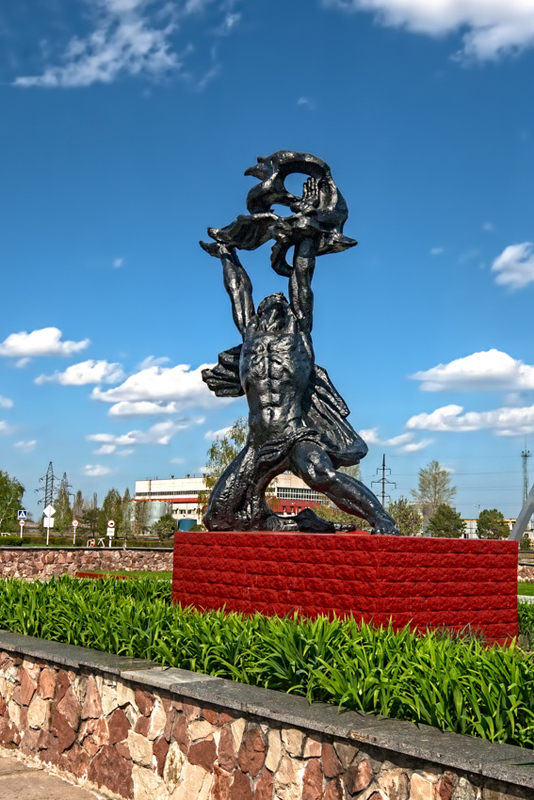 The statue of Prometheus was originally placed in the city of Pripyat, where workers at the Chernobyl Nuclear power plant lived. 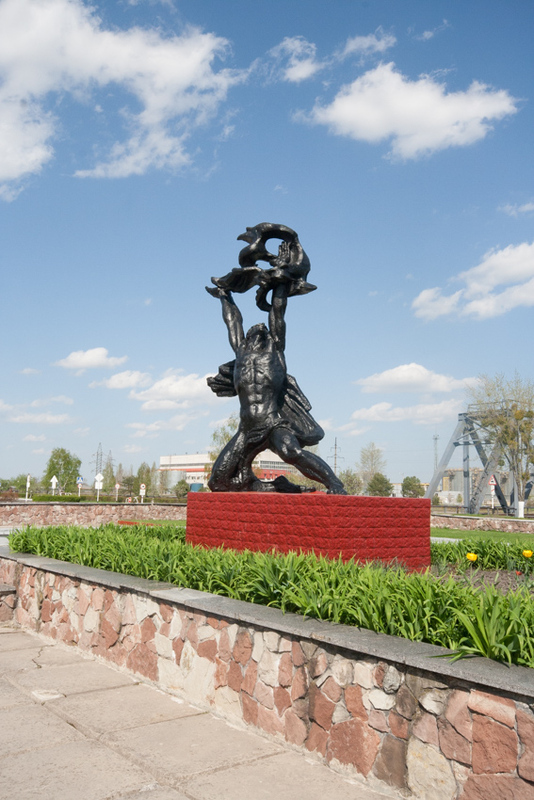 After Pripyat was abandoned after the Nuclear accident and Chernobyl, the statue of Prometheus was relocated to the grounds of the power plant.